We are proud to announce that Ayegardening has been shortlisted for the APL Awards 2017. Ayegardening’s project The Sunken Patio is in the running for the Project Value under £20,000 category. 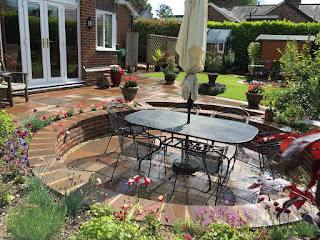 Ayegardening were absolutely delighted to be involved with the installation of all of the Hard and Soft Landscaping on this project designed by Gill Brewis from Gill Brewis Garden Design. 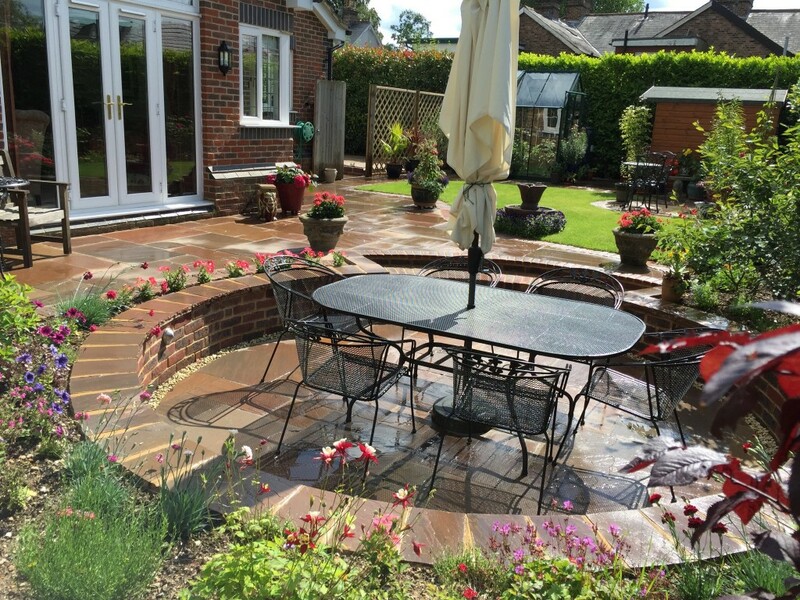 It was a complete renovation of a garden in Ashtead, Surrey. Owners Tom and Susan wanted two seating areas for morning and evening, a small water feature, and the warm, rustic colouring of Autumn Brown Sandstone with a small lawn. The standard of entries to the APL Awards 2017 exceeded expectations and Ayegardening was picked from a record breaking number of submissions.